If you were lucky enough to move into a new home recently then you need to know a few things that you should strive to accomplish soon after the move. These things will get you set in the right direction for being comfortable in your new home for years to come. A few of these ideas are listed below. Be sure to take pictures of each room in your new home before moving in. Sometimes the inspection takes place and then the previous owners come back to get a few last items of theirs moved out. You never know, especially if the previous owners were forced to move due to a short sale, what they may have done to the house. Take pictures before you move your furniture inside. This way if any damage has occurred you will have full documentation of it and may be able to get things fixed more easily. If you hire a moving company to move your belongings from one house to the other you will want to check all of your belongings to make sure there was no damage done to anything during the move. You should have liability coverage in your moving contract and if that is the case if any damage occurs and you document the damage you should be able to get reimbursed for that. One of the most important things to accomplish as soon as you move into a new home is to change the locks. You have no way of knowing how many folks have a key to your home from the previous owners and you surely don’t want to worry about someone being able to get inside of your home without your knowledge. Get this task done right away. If you want to make the home have a nice new feel, painting is a great way to do that. Painting an empty house is much easier than having to move the furniture around later. If you are a registered voter and you have recently moved into a new home that is in a different county, you will want to change your voter registration right away. It’s not a good feeling to be turned away at the polls because your address is incorrect. These are just a few ideas of things you should strive to accomplish soon after moving into a new home. Hopefully they will be of some help to you and yours. Absolutely adorable South Hull District home has had a complete makeover and is ready for a new owner. For cooking and entertaining, you will love the newly installed "Dutch-inspired" kitchen with plenty of space for guests. Relax in the cozy sunroom/bonus room off the breakfast nook, or on the cool screened front porch. Dining room has great architectural details such as French doors and built-in corner china cabinets. And, check out the retro-cool built-ins in the living room, perfect for displaying books or collectibles. 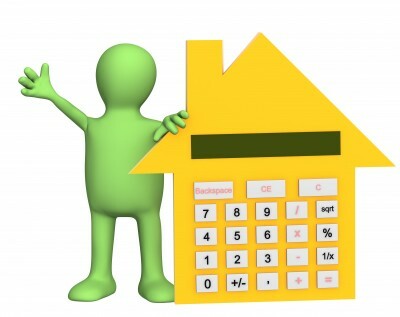 And, you won’t have to fuss with details like NEW appliances, NEW central heating and air, NEW windows (energy efficient!) and added attic insulation. Great landscaping out back with beds and gardens all contained in fence, great for pets! Above ground pool can remain for your enjoyment, or sellers will remove. Marketed by Montgomery AL Realtors Sandra Nickel Hat Team! Pristine Patio Home In Great Location! Pristine patio home in a great location! Absolutely move-in ready, with split floor plan, trey ceiling in living room and updated hall bath. Walk-in closets in each bedroom, like new carpet and tiled kitchen floor. Nice backyard with privacy fence. Close to shopping, restaurants, AUM and I-85. Check it out today! One Owner Custom Built Home! Never before on the market is this incredible one-owner custom built home centrally located and close to shopping, restaurants and AUM. Step inside from the wide front porch and you will find 10' ceilings with beautiful dental molding, custom built doors, cabinets and woodwork - all hand made by the original owner. Entertaining is a breeze in the huge kitchen with new granite counter tops and island, through the cozy family room to the screened porch looking onto the sparkling pool and professionally landscaped yard. There is storage everywhere: huge laundry room with deep sink and freezer, small office or walk-in pantry, double walk-in closets in the master and two small office/hobby rooms upstairs. Plus the huge brick two car garage with an extra-large third bay for a boat or RV. Truly a unique property, come see for yourself. 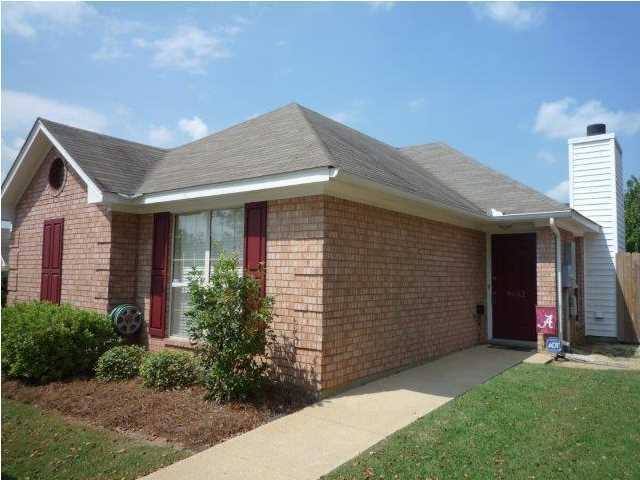 Marketed by Montgomery Alabama Realtor Sandra Nickel, Sandra Nickel Hat Team. Traditional & Updated Edgewood home! This lovely Edgewood home is move in ready! Entertain family and friends in classic style in this traditional, yet updated home. The formal living room features a beautiful marble fireplace, spacious dining room, modern kitchen that opens into the den/family room, renovated bathrooms and hardwood floors throughout. The outdoor lovers will enjoy the elevated deck overlooking the private backyard. The garage has a nice storage room that could make a great office or man cave. 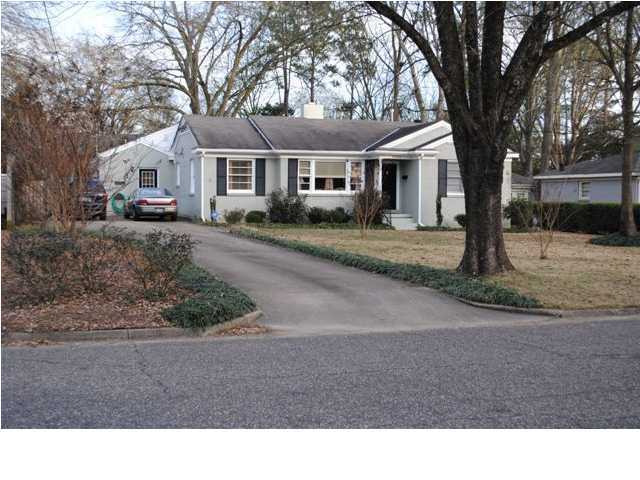 This is a great house in one of Montgomery's most desirable neighborhoods. 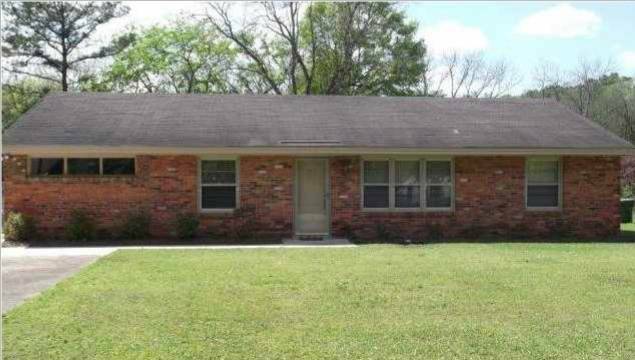 Montgomery AL Home For Sale: Pristine and Practically New! Practically new! This home is pristine and ready to move into. Hardwood floors have been refinished and fresh paint on walls, brand new kitchen, and new master bathroom with BIG walk in shower. Split plan puts master bedroom on one end of house and other two bedrooms opposite. Large fenced backyard has producing pecan tree and detached workshop. 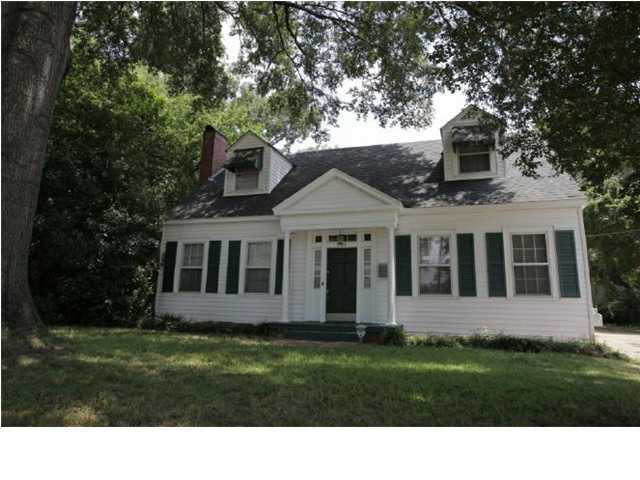 Don't miss this great buy in Druid Hills! Lots Of Space To Spread Out! Have a large family or just need lots of space...this FIVE bedroom home might just be the answer. Brick ranch in desirable McGehee Estates is sprawling and boasts formal living room, as well as a spacious den/family room with fireplace. Located on a large lot on a quiet cul-de-sac there is even a two car carport and attached workshop/storage. If storage is what you desire, you will find it here. Built-in storage in dining room, large pantry in kitchen, great cabinet and pantry storage in BIG laundry room, and lots of deep closets mean you will never run out of room to put "stuff". There is even a well out back for irrigation! Priced below competition, put this one first on your list to see. 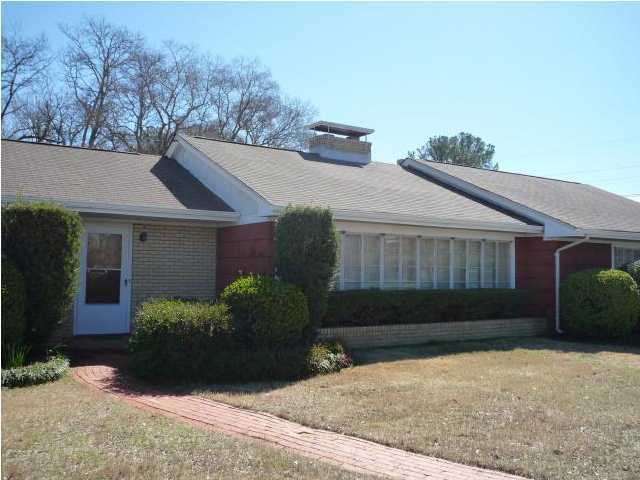 Fabulous mid-century modern ranch that has been untouched as well as meticulously maintained. Foyer, den and kitchen have unpainted knotty pine paneling. Living room, den and bedrooms all have wonderful built-ins. Eat in kitchen has a retro built-in booth and original red Formica counter tops. Extra bonuses are the huge attached workshop, sunroom overlooking beautiful backyard and hard wood under the carpet! Check out this rare one of a kind opportunity today! Traditional Cottage with Casual Living! This home offers traditional formal spaces with updated casual living areas. Living and dining room with hardwood floors is the perfect space to display your finer acquisitions or those lovely antiques inherited from cherished loved ones. Open to the updated kitchen is a spacious casual den/family room with 2 walls of glass overlooking the large shady back yard. Just off this wonderful den addition is a mud room, 2nd FULL bath, laundry room, and office/study. 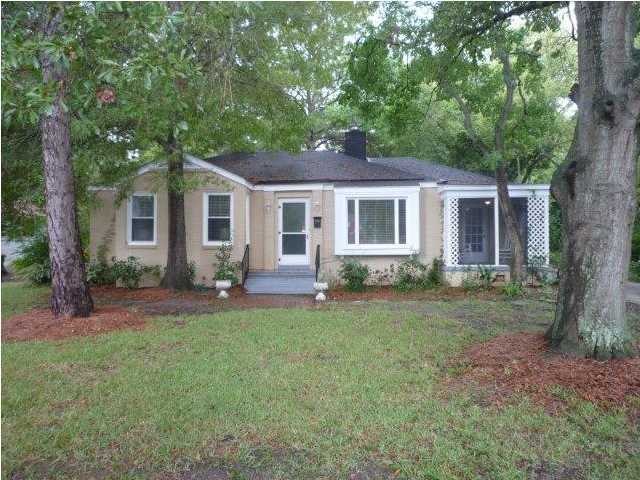 Three bedrooms and updated hall bath finish out the opposite end of the house. Out back is an arbor-covered deck, an 8x8 wired workshop, an 8x8 garden shed, and an 8x16 storage shed in a privacy fenced back yard. Wanted---homebuyer who appreciates classic design, unique spaces, and value! This historic Garden District bungalow is waiting for just the right person to love and enjoy it as much as its previous occupants. With classic characteristics like entry foyer, spacious living room with built-ins, and formal dining room with antique corner china cabinets, the next owner will have no problem living, relaxing, and entertaining in high style. Fun/funky kitchen will delight most cooks, and split design with master bedroom on the main level and guest bedrooms upstairs affords privacy. Don't miss the bonus: a groovy den/recreation room in the finished basement complete with fireplace, custom walls, and cool recessed ceiling. And, for those who enjoy the outdoors, the rear screened porch and brick patio surrounded by tall privacy fence are sure to please. Convenient to downtown and all that Cloverdale has to offer!